Participate and Exhibit at the 2019 Pittsburgh Business Show! Watch this video to learn more about The tri-states largest second annual business for business trade show. Have questions? Call 412-668-4990. 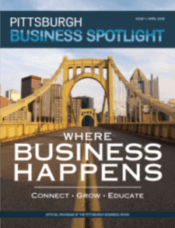 The Annual Pittsburgh Business Show will be held on May 14th and 15th 2019 at the David L. Lawrence Convention Center. We are currently welcoming previous and new exhibitors. Industries will have exhibitor limits, so sign up today to connect with business owners and decision makers around Pittsburgh’s tri-state region. If you are having problems viewing this map, please make sure you are upgraded to the lastest Flashplayer or view this webpage in Google Chrome. Learn more about all of the speakers from the 2019 Sessions!